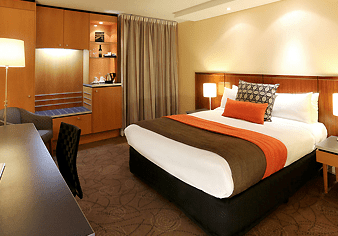 Romantic hotels in Brisbane CBD, Australia. Ideas for Brisbane getaways & breaks. One of the best hotels in Brisbane CBD for romantic wedding or Brisbane getaways. 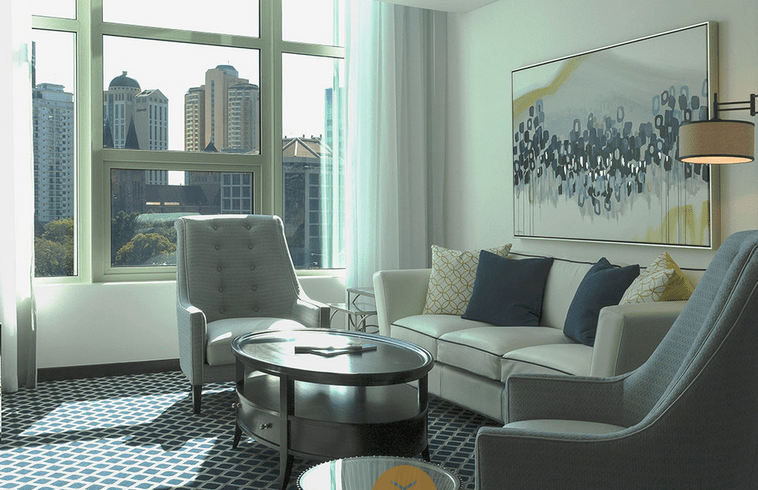 A garden-inspired oasis nestled alongside Brisbane’s Botanic Gardens, Quay West Brisbane is a 5 star hotel offering unrivalled, attentive service and stylish, self-contained apartment accommodation in Brisbane CBD. Featuring full kitchen and laundry facilities, open-plan living and dining rooms with spacious furnished balconies and completely separate bedrooms with an indulgent bedding package. The signature recreation area, with resort-style pool, sundeck, McMahons Restaurant, gymnasium, sauna is unsurpassed in a CBD location and compliments the sunny Queensland outdoor lifestyle. With 5-star hotel style the hotel is a great choice for any event – from intimate dinners and cocktail parties, to meetings, presentations, conferences & weddings. 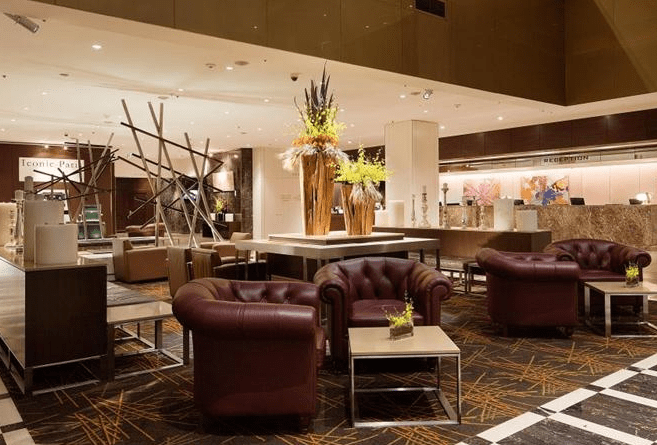 One of the best Hotels in Brisbane CBD, Australia for romantic Brisbane getaway or for business trip. 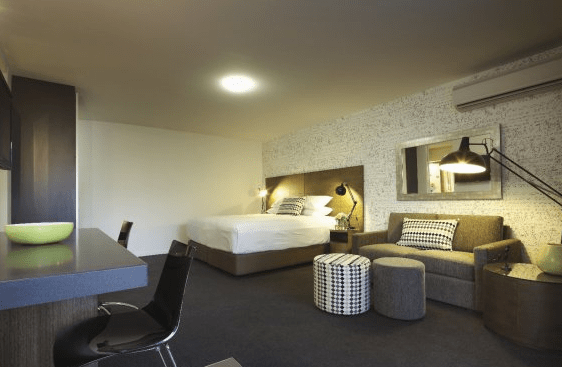 At Punthill Brisbane, you will discover stylish and spacious Brisbane CBD hotel accommodation. Located in Astor Terrace, Spring Hill it’s only a few minutes’ walk to the heart of Brisbane’s CBD. The serviced apartments feature luxurious king beds, a private balcony, kitchen, workspace, flat screen TV, iPod dock, secure undercover parking and a modern contemporary interior design. 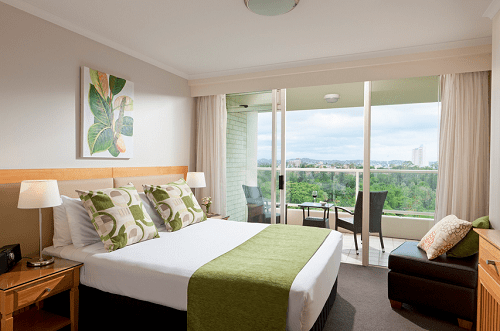 Punthill Brisbane is the perfect accommodation choice for business or leisure. Some of the amenities are: Baggage storage, Cafe, Onsite Guest Laundry, Secure undercover parking, BBQ facilities, Gymnasium, Pool, WiFi internet and more. Positioned in the heart of Brisbane, you will discover a hotel of sophisticated luxury and personalised service. Renowned for its inspiring arrival experience via the alluring lobby, the wide choice of food and beverage outlets and breathtaking views of the city and surrounds, the hotel’s reputation as the leading choice in luxury accommodation and conferencing is truly deserved. Some of the services are: Fully equipped Business Centre, Broadband Internet access, 24 hour concierge service, Babysitting service, 24 hour in-room dining, Currency exchange facilities, Security deposit boxes, Medical services, Wheelchair accessible rooms, Outdoor heated pool, Covered parking facilities, Stephanies Spa Retreat, SoFit Gymnasium & more. One of the most romantic hotels in Brisbane CBD, Australia. 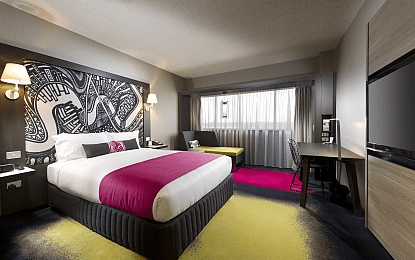 Nestled along the Brisbane River, in the heart of the city, Mercure Brisbane is one of the best hotels in Brisbane CBD, Austria for romantic breaks & Brisbane getaways. Just steps from the Queen Street Mall – Brisbane’s best shopping, the central business district, Treasury Casino and Queensland Performing Arts Centre. A stones throw away from the renowned cultural precinct of South Bank Parklands, home to the Queensland Art Gallery, internationally acclaimed Brisbane Convention and Exhibition Centre and 16 hectares of cafes, restaurants, cycle paths, gardens and weekend markets. Some of the facilities are: Quays Restaurant and Bar, Business centre, Meeting and conference facilities, Outdoor swimming pool and sauna, High speed wired/wireless internet, 100% Non-smoking hotel, in-room dining, Undercover secure car park, Baby sitting & more. The New Inchcolm Hotel and Suites is a distinctly boutique hotel of impeccable style and clandestine character which is located in Brisbane. Our intriguing and rich heritage takes guests on a path of discovery, while our modern elegance offers a new level of comfort and thoughtful luxury. Elegantly crafted rooms and lofts , a casual yet sophisticated restaurant and glamorous bar, stately meeting and function rooms, a perfect location – The New Inchcolm has it all. But it’s our seamless service and touch of cheeky charm that makes our hotel more than just a place to stay or visit. One of the most romantic hotels in Brisbane CBD, Australia for unforgettable Brisbane getaways & breaks. Experience ultimate comfort at Mercure Brisbane King George Square, located within walking distance of Queen Street Mall shopping precinct, offering guests a full range of services and facilities in relaxed yet sophisticated surrounding. Facilities include restaurant, cafe, bar, fully equipped gymnasium, rooftop swimming pool and Brisbane’s largest hotel conference and meeting space. One of the greatest hotels in Brisbane CBD, a comfortable destination for Brisbane getaways & breaks.